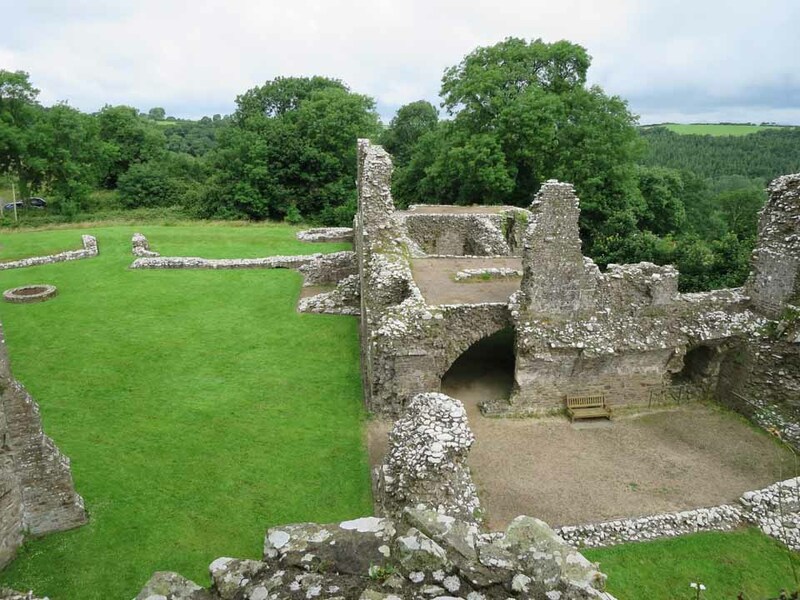 The first early 12th century ringwork surrounded by a moat was destroyed in 1193. 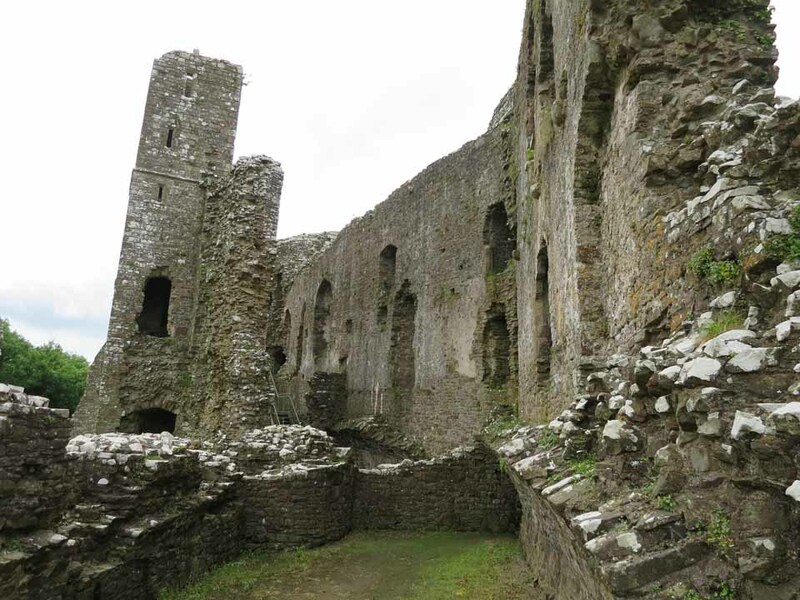 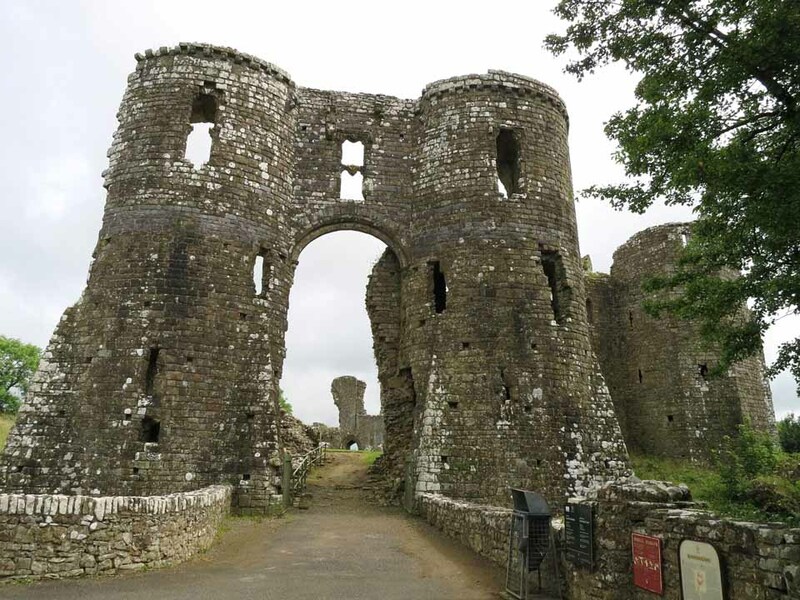 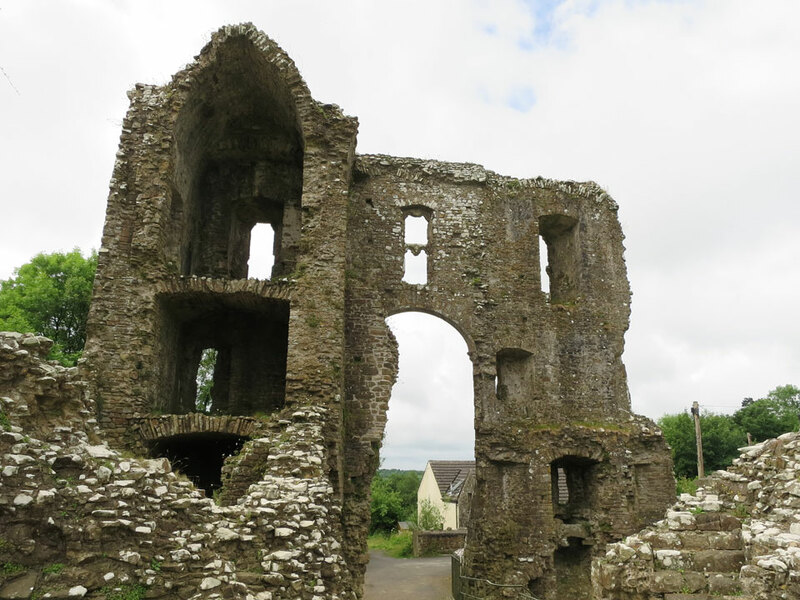 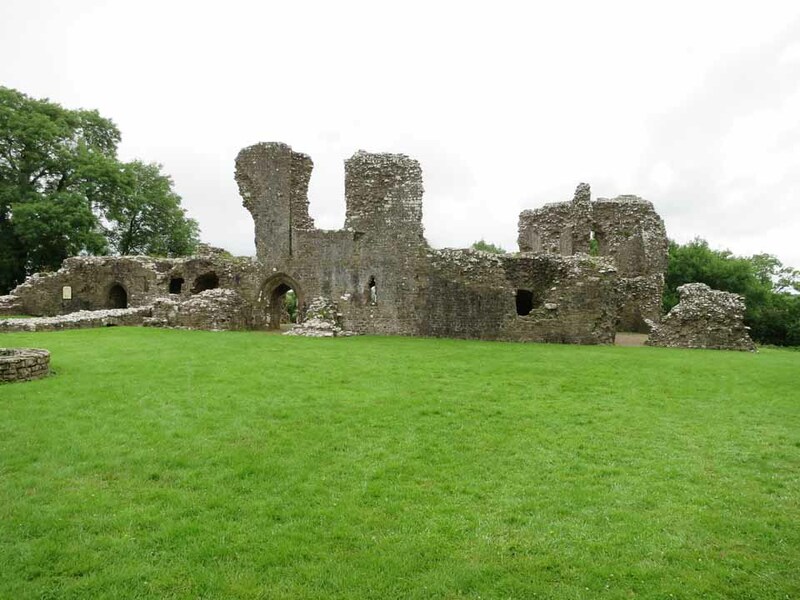 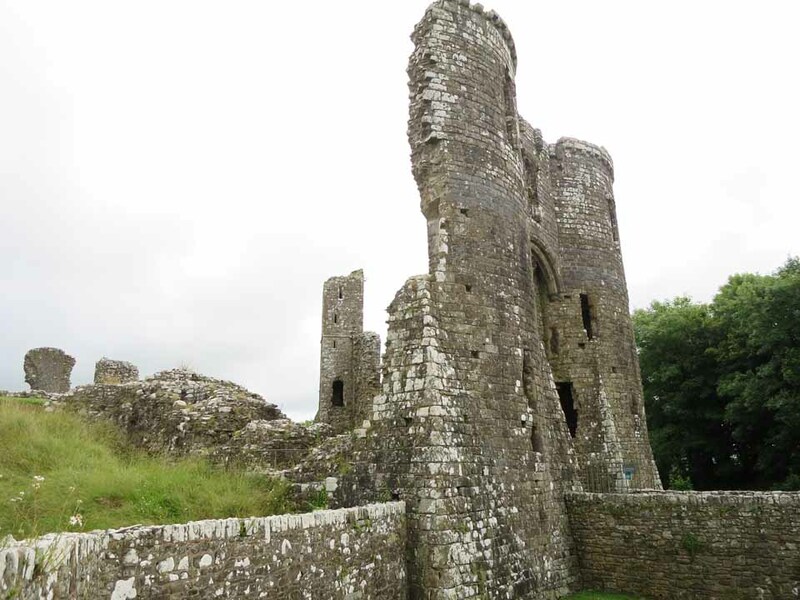 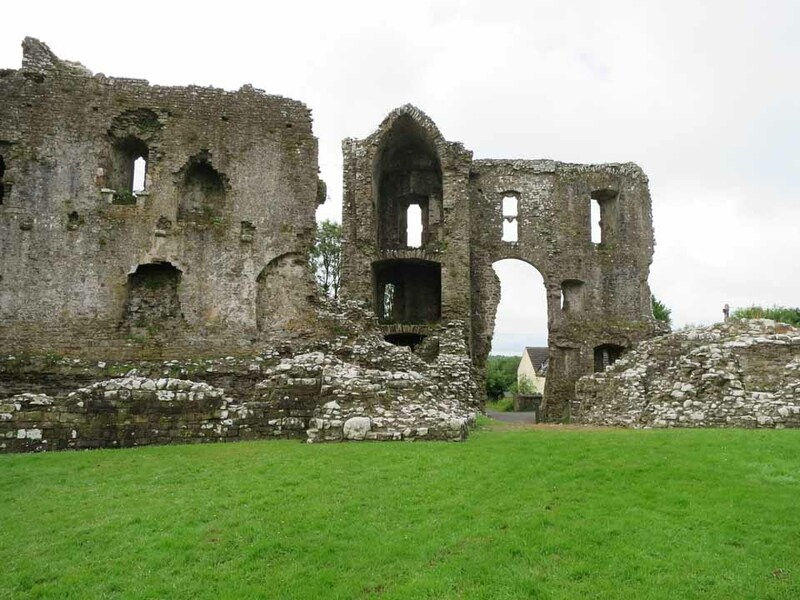 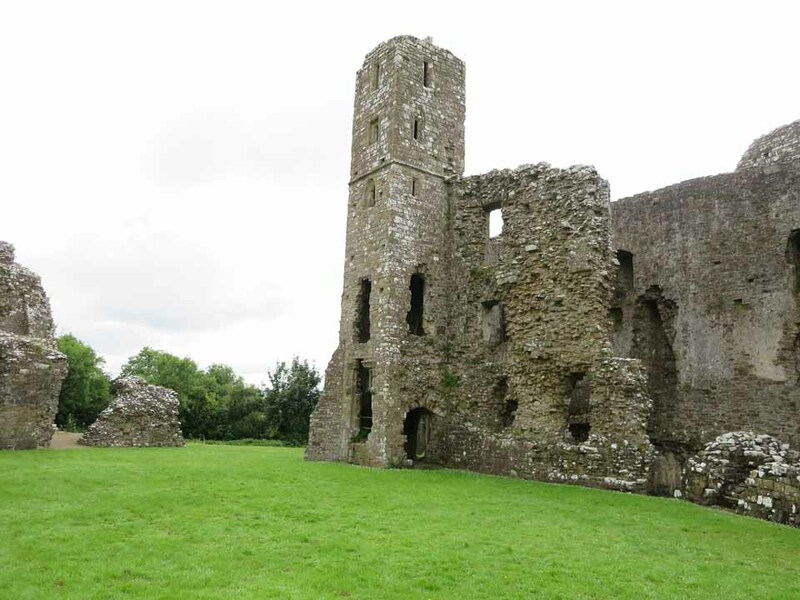 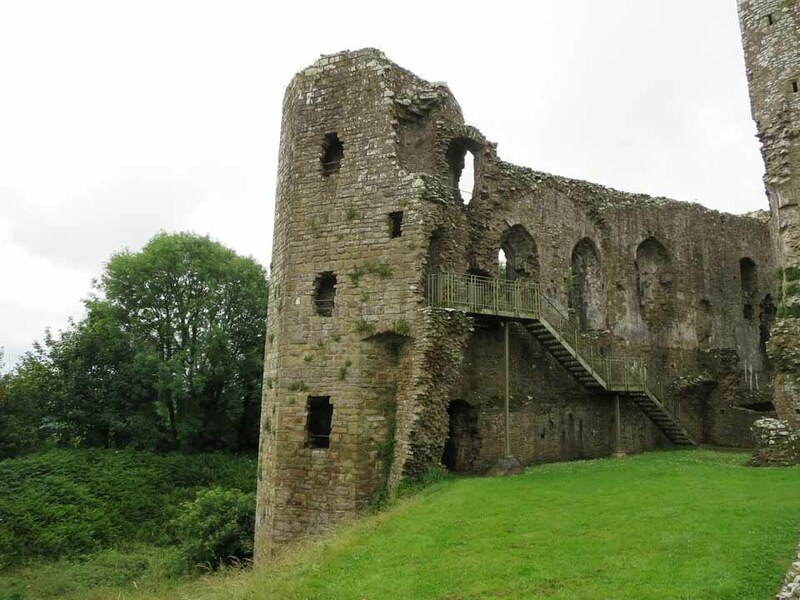 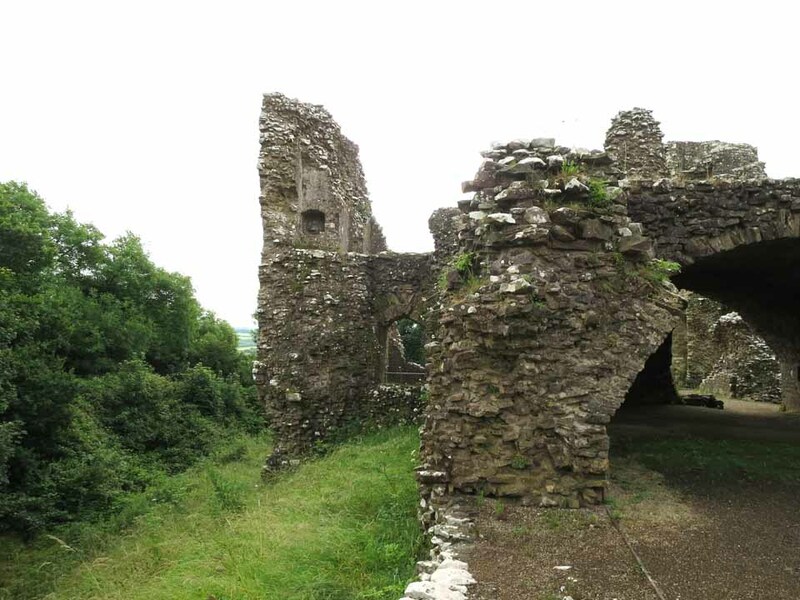 It was rebuilt in stone in the early 13th century as a fortified palace for the Bishops of St Davids, but the visible walls date from 1280 - 1320 with a mid 14th century gatehouse. 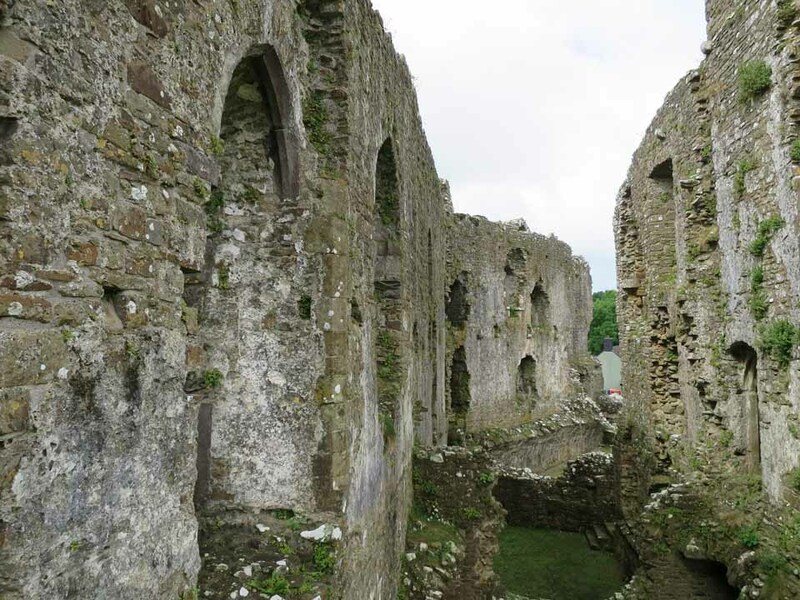 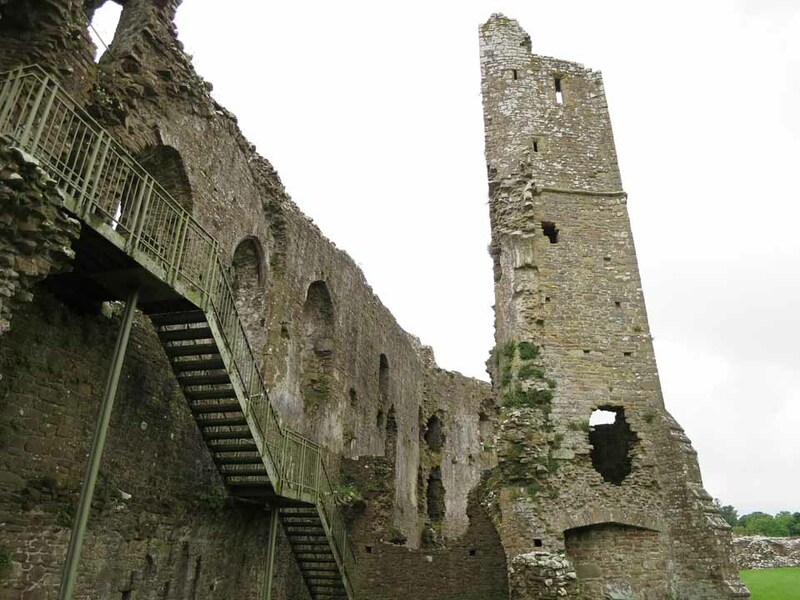 It fell into decay in the 16th century after the roof was removed. 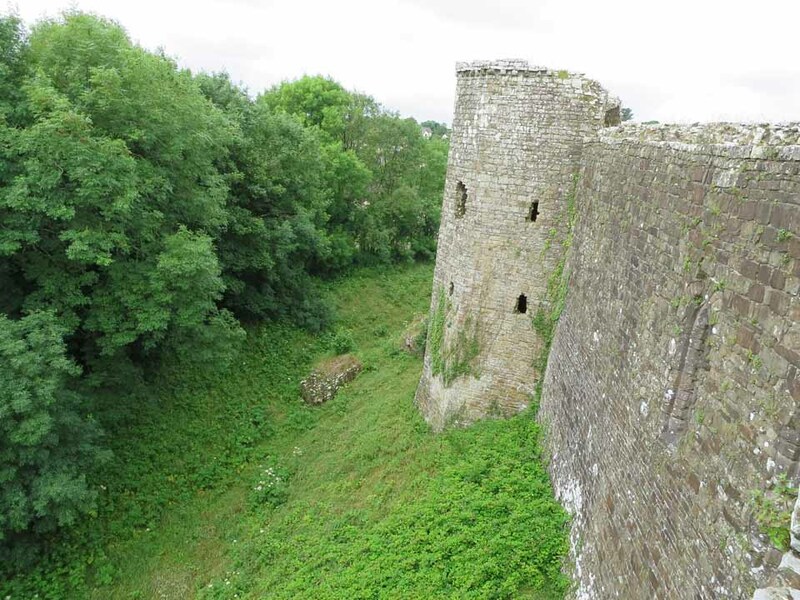 1 mile north of the A40, 8 miles east of Haverfordwest.